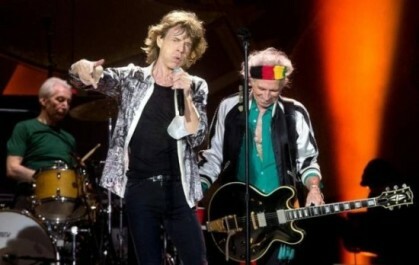 The Rolling Stones will tour the United States this summer, playing in large stadia in fifteen cities mostly in Middle America. See if yours is one of them. Writing at USA Today, Lauren Piester claims that “April will go down as the best month in TV history,” and the article is apparently not intended as an April Fool’s joke, although none of the examples she cites interests me in the slightest, except for the finale of Justified. Read it and see whether you agree with her. 1/53) Q: Why did the man* throw* butter* out of the window*? A: He wanted to see* butter fly*! (2/53) “Man” in my previous Tweet should not be construed as privileged, misogynist or anti-trans. (14/53) fashion. Aesthetic shaming is real and bullying hurts us all. (51/53) A simple series of clarifying post-joke Tweets like the ones I just sent out will insure EVERYONE a gentle, comforting chuckle. (52/53) Welcome to comedy in 2015, @Trevornoah! (53/53) Also, the “come” part of “welcome” shouldn’t be construed in a “faggy” way. And by “great,” I do not intend any offense against people of less-than-average height. . . .